CHARLOTTESVILLE, Va., Nov. 10, 2010 -- More than 10,000 U.S. servicemen and women in Iraq, Afghanistan and other overseas locations will receive personal "care packages" from the USO (United Service Organizations), thanks to the volunteer efforts of Northrop Grumman Corporation (NYSE:NOC). "The men and women who defend our nation come from the same local communities as we all do," said Bill Hannon, vice president of Maritime Systems. 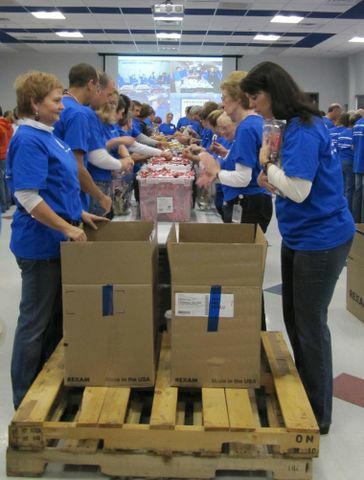 "These care packages are one way we show our gratitude for their selfless service. Our employees' dedication to these events is typical of the effort they apply every day delivering Northrop Grumman products to U.S. military personnel." In addition to the in-kind support, Northrop Grumman provided a $25,000 contribution to the USO to help defray the cost of the care packages. 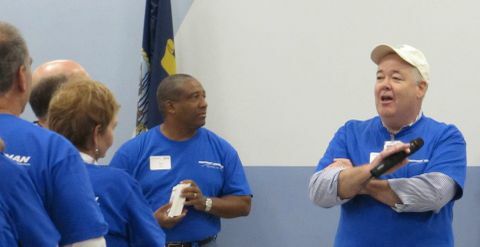 This event marked the last of four USO care package stuffing events that the corporation plans to host in 2010 – and the 17 th that Northrop Grumman has participated in since 2004. 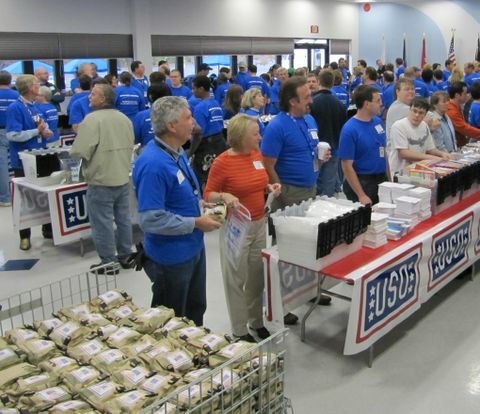 The USO is a private, nonprofit organization whose mission is to support the troops by providing morale, welfare and recreation-type services to the nation's men and women in uniform. The USO currently operates more than 145 centers worldwide, including ten mobile canteens located in the continental United States and overseas.